The Netherlands Institute for Multiparty Democracy (NIMD) assists political parties in new and emerging democracies. The organisation’s approach is characterised by facilitating dialogue. NIMD provides safe environments for political parties in a country to meet, overcome distrust and work together on political issues. In addition NIMD also works directly with parties to strengthen their capacities, and provides education programmes for potential politicians. NIMD works in more than 20 countries in Africa, Latin America, The Middle East, Asia and Eastern Europe. 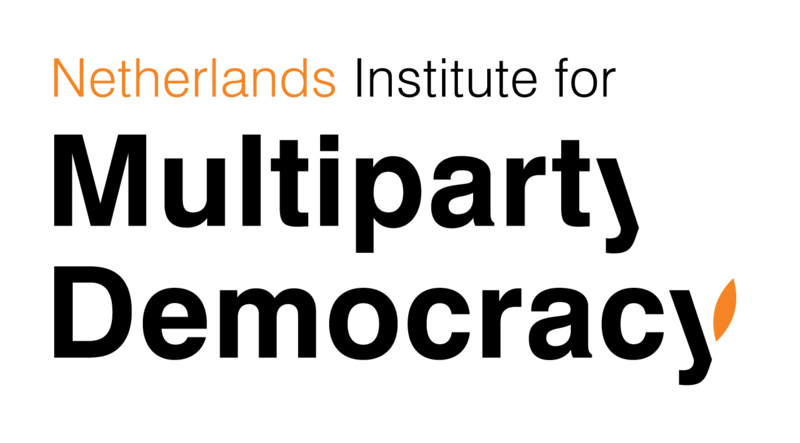 NIMD is founded by seven Dutch political parties. This multiparty identity provides the organisation the legitimacy to work on an impartial basis with leaders across the political spectrum in a country. In many countries the political environment is highly polarised and little trust exists between politicians and political parties. In these countries, NIMD’s background is often an eye-opener’ for local political leaders. It inspires politicians to work together and engage in constructive political dialogue. NIMD believes in long-term commitment. Political transformation, building trust and strengthening political parties takes time. Therefore the organisation invests in long-term equal relationships with political parties. The local parties set and lead the agenda of the NIMD programme in the country. Inclusiveness and impartiality are also key for NIMD. All political parties (including opposition parties) can take part in the dialogue platform and all get one vote. NIMD is not affiliated with one specific denomination. Another important guiding principle in NIMD’s work is diversity. NIMD encourages equal participation of marginalised and minority groups by empowering representatives of these groups to take part in the dialogue and process of policy- making. Multiparty democracy is commonly considered as the system that provides the best conditions for human rights, the rule of law and peace and security. By strengthening political parties and encouraging collaboration between them NIMD contributes to stronger democracies, democracies where the voices of people count, governments are accountable, and policies create basic conditions for sustainable socio-economic development.